The circle is unbroken for three Birmingham hoopers. The circle, a simple shape of Euclidean geometry, is vital to everyday life. Without it, we are doomed to exist only where our feet might take us. It is the face of time, the symbol of life and divinity, the symbol of love and eternity. Without the circle, we wouldn’t have pi. It is inherent in a multitude of sports and games: a simple hoop to put a ball through, a disc to send soaring through the air, or a hoop to rotate around our hips and body. It is this hoop, the one that compels us to gyrate our hips, rock our bodies and shake our legs—the legendary Hula-Hoop—that is our subject today. The name Hula-Hoop was trademarked by Wham-O in the 1950s, but the term came about in the early 19th century when British soldiers returning from the Hawaiian islands likened hooping to the Hula dance. Hula hooping has been in existence since as early as 500 B.C. In 14th century England, hooping became popular with children and adults as a form of play, exercise and entertainment. It was often used in religious ceremonies, and there are medical records of doctors prescribing hooping to treat heart and back problems. Young boys would often run along side a hoop pushing it with a stick. In the 1950s, hooping became an international craze when Wham-O successfully manufactured and marketed the inexpensive plastic Hula-Hoop. Since then the popularity of hooping has waned. But now, in the 21st century, hooping is making a comeback. On the West Coast, hooping is all the rage. There are social groups and websites devoted entirely to hooping, such as Hooping.org, hoopcity.ca and worldhoopday.org. The craze is working its way east. So whatever your other New Year’s resolutions may be, add a hoop to the list and move your body. Or if you aren’t interested in exercise, book a troop for a party and watch the fun. At the very least, go rent the film Hudsucker Proxy, the Coen brothers fictional account of the invention of the hula hoop. Have a HOOPy New Year! 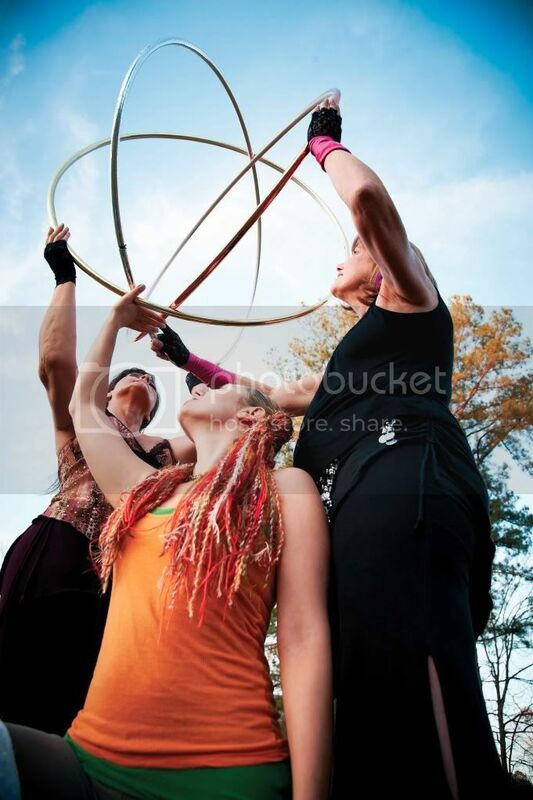 For more information on hooping, hoopdance classes and hooping events, go to hoopforfitnessbham.com. Posted on Tuesday, January 3rd, 2012.